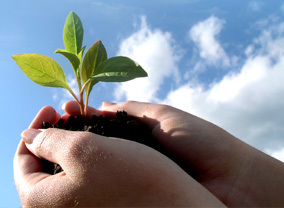 About Us | Pellagic Food Ingredients Pvt. 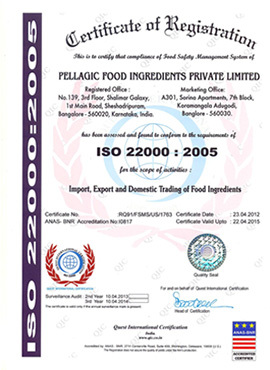 Ltd.
Our Company Pellagic Food Ingredients is established in the year 2012, January having its registered office in Bangalore with an aim to supply world class food ingredients with innovative approach to cater the needs of various food manufacturers within India and overseas. Our Company’s approach to our clients with never ending QUEST of giving total solutions by means of providing Quality products being sourced with an Unprecedented reach to our sourcing abilities you can rely on and the confidence of dealing with a company that stands solidity behind the product it deals with while giving Efficient service through a strong Supply Chain with the aid of adequate Technical solutions with the help of knowledge we have and from our expertise, who are available all the time from around the world. Our focus is to add value through international trade involving products and services across a range of Industry sectors with innovative and creative ideas on parallel with ongoing market demand. The company has its head office based in Bangalore, India with full fledged operation, stocking and selling facilities with standard warehousing facilities having high standard storage conditions, supply chain management and sophisticated lab to inspect and maintain the quality of the product before it reaches out to our clients. To be a significant and unique supplier of a broad range of globally sourced quality ingredients to the food, naturalistic and other selected markets in India and other countries. To speculate demands and to offer innovative, quality, hygienic and value added ingredients to satisfy consumer demands. To continuously provide extra value to our customers, suppliers, employees, shareholders and society. To conduct business fully complying with legal and industrial requirements and at the highest level of ethical behavior in socially responsible and environmental friendly fashion.